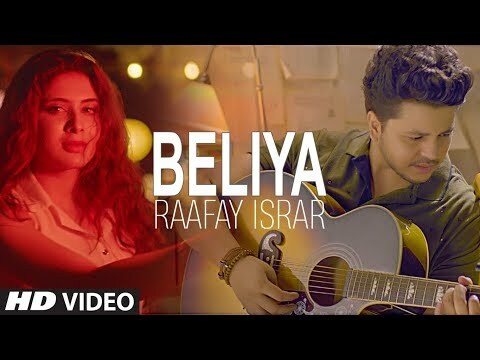 Pakistani rising star Raafay Israr is a singer, songwriter and performer known for his songs 'Beliya' and 'Sajni' and his spectacular live performances all over the country. Who Is Raafay Israr? Raafay Israr was born in October 1993 in Karachi, Pakistan. He began singing and learned guitar at a very young age and started performing in his school shows where he was mentored by the legendary Benjamin Sisters. He was just a teenager when he formed a band and started performing in local concerts in Karachi. His outpouring of creativity added up to almost 300 live shows all over the country in just 4 years Early Years In Music: When he was 17 he got the opportunity to go live on a TV show called Weekends with Mahira at Aag TV and through that show he got great confidence of pursuing career in the music field. He started going to Planet Audio 146 studios in Karachi where he got to meet the music producers who showed him the path to recordings and sequencing music. Continuing the concerts and live shows he hired session musicians who performed with him in shows opening for big artists like Atif Aslam, Ali Zafar, Abida Perveen, Edward Maya and Rahat Fateh Ali Khan. The Next Level: After performing live for 5 years, in 2017 Raafay started writing his original songs and started recording them with multiple music producers. In April 2018, he released his debut single 'SAJNI' alongside its music video which gave him massive recognition on social media. It is a Pop number with new age sound. The music was of it was produced by renown producer and musician Ali Khan. The song was on number 2 charts at Rush Hour show at Fm89. After Sajni, he released his second music video Beliya which did even much better than Sajni. Its an acoustic slow melo song and have been getting amazing response all over media. Multiple blogs and websites wrote reviews on the songs and the music video and he got invited on multiple tv and radio shows for interviews.